At the law firm of Jacqueline M. Reiner, PLLC, clients benefit from the experience, skill and tenacity of a seasoned trial lawyer. Jacqueline Reiner, a former prosecutor for the City for Richmond brings a persistent, aggressive and personalized style to the practice of criminal, traffic, personal injury and family law. Every attorney-client relationship with Ms. Reiner is founded upon clear and regular communication and trust. Criminal, traffic, family and personal injury clients play an active role in strategizing and achieving desired outcomes. Realistic and practical advice, hard work, compassion and integrity are essential ingredients in all client representations. Ms. Reiner recognizes that an effective legal strategy is oftentimes akin to a strong business strategy. Previous corporate firm experience gives her the ability to offer practical, goal-oriented, cost-effective representation on legal matters including divorce; child custody and visitation; DUI and other traffic and criminal cases. Costs, risks and projected benefits merit careful consideration and analysis whether your case involves a car accident or other personal injury; a juvenile or young adult seeking to keep a clean record following an arrest for underage drinking, drug use or shoplifting; domestic or other violent crimes; drug or property offenses; or dividing property in a divorce. Ms. Reiner knows the value of experience, preparation and trial readiness and her clients benefit from the same. Prosecutors, insurance adjusters and other legal opponents know that Jacqueline Reiner will bring your case to a judge or jury when necessary. Ms. Reiner’s regular appearances in the criminal and civil courts throughout central Virginia keep her skills sharp and relationships solid within the legal community. All these factors contribute to the strong, personalized, results-oriented advocacy Ms. Reiner’s clients receive. Jacqueline M. Reiner, PLLC welcomes inquiries from persons seeking representation in Virginia in criminal, family, personal injury and other legal matters. 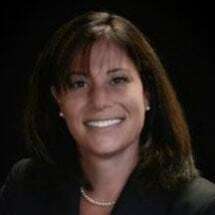 Based in Richmond, Virginia, Jacqueline M. Reiner, PLLC, represents clients in the cities of Richmond, Petersburg, Hopewell and Colonial Heights; counties of Chesterfield, Henrico, Hanover, Caroline, Powhatan, Amelia, Dinwiddie, Prince George and Goochland; and all surrounding areas.